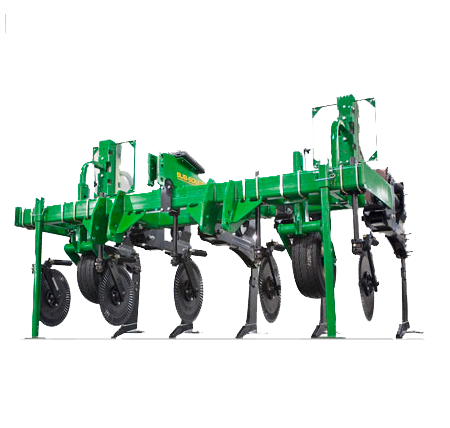 Designed for deep vertical tillage, the Great Plains Inline Sub-Soiler shatters yield-robbing compaction layers created by horizontal tillage tools such as plows, disks, and sweep implements. 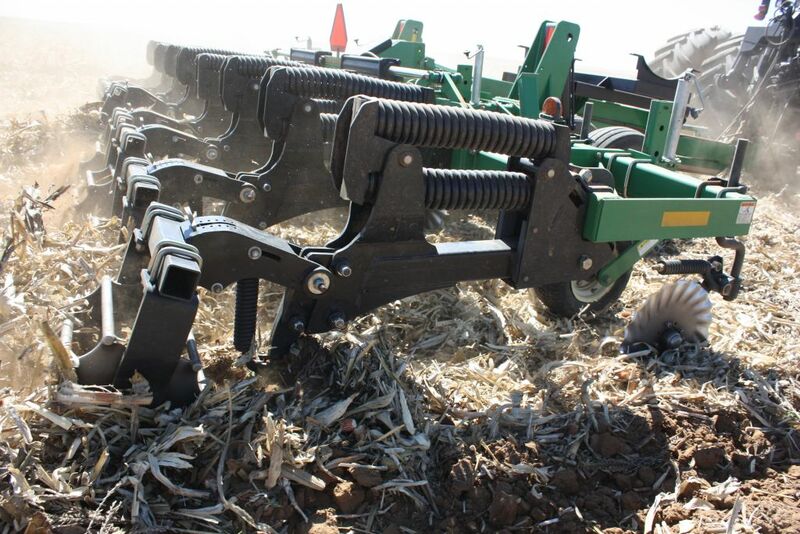 With a working depth of 12″ to 16″ (30cm – 40cm), this autumn tillage tool resets the soil profile and maintains uniform soil density with minimal topsoil disturbance and no residue burial. The Sub-Soiler’s frame features high-tensile, 3/8″ (9.53mm) wall tubing for added strength and durability. The SS0300 is available in 3, 5 or 6 shank with spacing of 75cm, 68cm or 54cm. 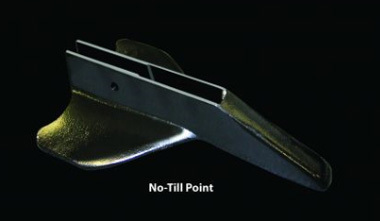 The ¾” (19mm) no-till shank and no-till point provide maximum shatter with minimum surface disturbance. 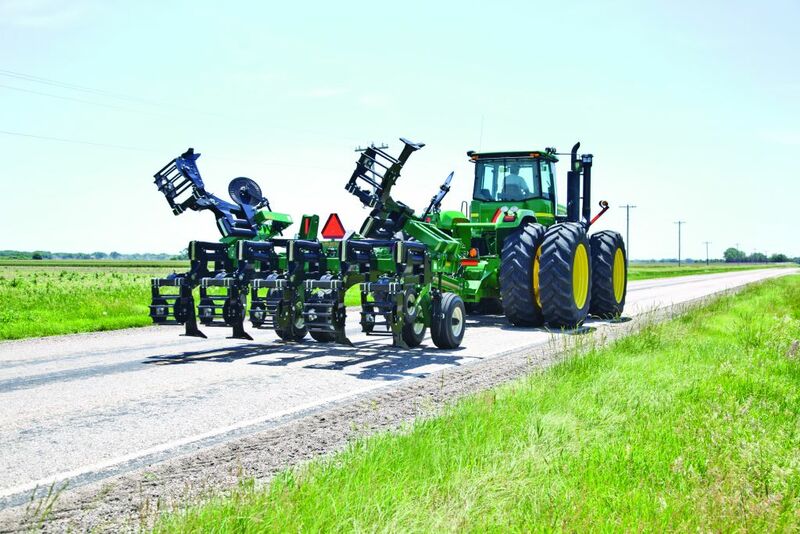 To achieve the full benefits of vertical tillage, it is important to select a point design that promotes horizontal fracture without blowout. The Sub-Soiler is offered with several different point options to fit a variety of conditions and needs. 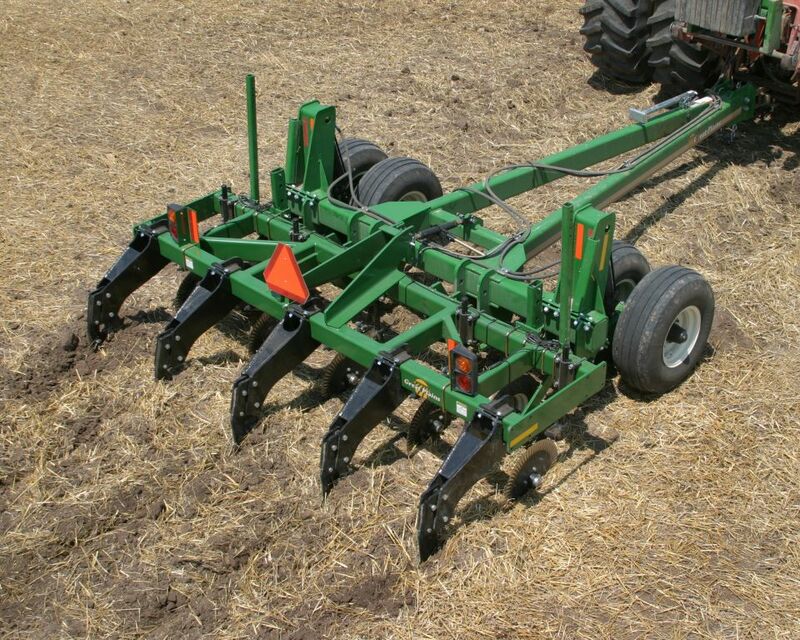 A no-till point that is approximately 10″ (25cm) wide is used with the ¾” (19mm) no-till shank. The no-till point minimises surface disturbance and maximises soil-structure-shatter below the surface. It also increases the amount of exposed surface residue and buries very little trash. 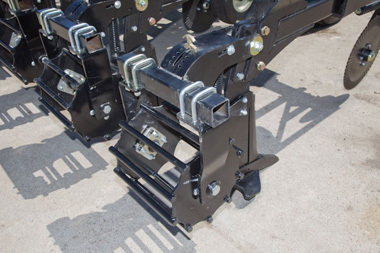 With 1″ (2.5cm) solid rods, the 16″ diameter (41cm) berm conditioners mounted to each shank help provide a level surface, enabling single-pass seedbed preparation. These are standard equipment. A screw jack makes adjusting the gauge wheels simple and easy. The 3/4″ (19cm) no-till shank in most soil conditions, only leaves a shank slot exposed on the soil surface and shows a gentle uplifting of the earth between shanks. Therefore, it should be used where less ground disturbance is desired. Replaceable wear shins are standard. With 3000 lb. 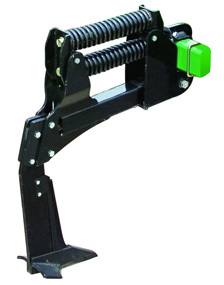 (1360kg) trip force, the Auto-Reset Shanks provide stop-free operation in areas where sub-surface obstructions exist. 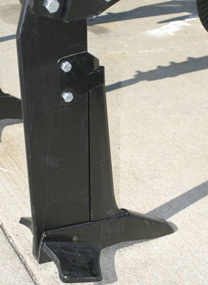 The Great Plains Sub-Soiler Hitch is quite capable as a tough 3-point pull package. 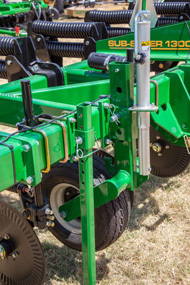 The SSH can turn your 3-point sub-soiler, no-till drill, or other 3-point implement into pull-type machines – no longer requiring the normal hassle of hooking and unhooking to the tractor’s 3-point hitch. The rugged design allows it to handle equipment up to 15,000 (6803kg) pounds. Optional 300-gallon (1135L) fertilizer tank is available. Tires 20.5 x 8 10-ply (gauge wheels) 20.5 x 8 10-ply (gauge wheels) 20.5 x 8 10-ply (gauge wheels) 12.5L x 15"